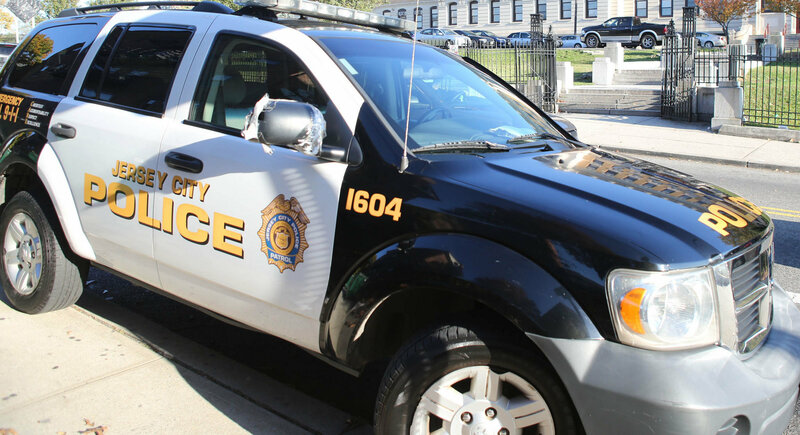 NEWARK — Federal Prosecutors in Newark say a former police officer admitted cheating the Jersey City Police Department and the IRS, by accepting $230,000 in direct payments for off-duty work at construction sites and failing to report the payments to the city or on his tax returns. The U.S. Attorney for New Jersey, Paul Fishman, announced Wednesday that Juan Romaniello, 54, of East Hanover, pleaded guilty to fraud and conspiracy charges Wednesday, after Romaniello effectively cut out the JCPD as a middleman when he took work and accepted payments directly from construction companies. The direct payments were in violation of a city ordinance requiring such work to be arranged through the department. Fishman said the ordinance also requires that payments be made by companies to the city, which then pays the officer after deducting taxes and an administrative fee kept by the city. 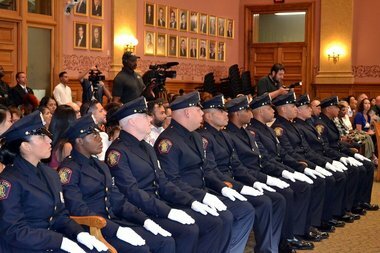 Jersey City swore in 20 new police officers at City Hall Thursday morning. For his last decade in uniform, Rominiello coordinated the off-duty work program for the department’s North District, Fishman said, adding that in some case Romaniello would allow companies to operate at work sites without a mandatory police presence required for traffic or safety reasons.”Sometimes Romaniello actually provided the public safety services, but did not notify Jersey City,” Fishman’s office said in an announcement. “On most occasions, Romaniello collected payments in cash, money orders and checks payable to him, directly from the employers, depriving Jersey City of money that it would have received otherwise and avoiding reporting requirements to Jersey City and the IRS. Under his plea deal, prosecutors said Romaniello agreed to forfeit $297,000, much of which he obtained in the form of cash, checks and money orders through his “corrupt and fraudulent activity,” and which he kept at his home. Fishman said Romaniello also agreed to turn over $90,000 in unpaid taxes for the years 2009 to 2013, on $201,340 in unreported income from the off-duty pay scheme. Sentencing is scheduled for Jan. 10, 2017, when Romaniello faces up to five years in prison on a count of conspiracy to commit fraud, and three years in prison on one count of tax fraud.He also faces fines of $250,000 or up to twice the amount of the ill-gotten gains on each count, Fishman said.